The Portakrush 1000 is one of the most popular portable compactors in the Portakrush range. It can reduce waste volumes by up to 5:1 depending on waste type. A further feature of the Portakrush 1000 is the food quality liquid retention door seal. 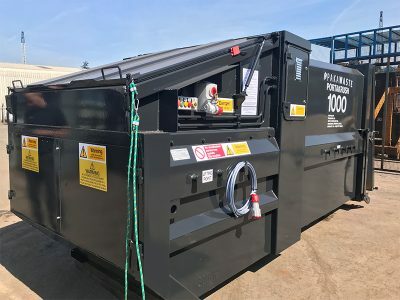 The image shown is the standard Portakrush 1000 Twin machine but model variations are available.